Creative collaboration is deeply rooted in the tradition of printmaking. 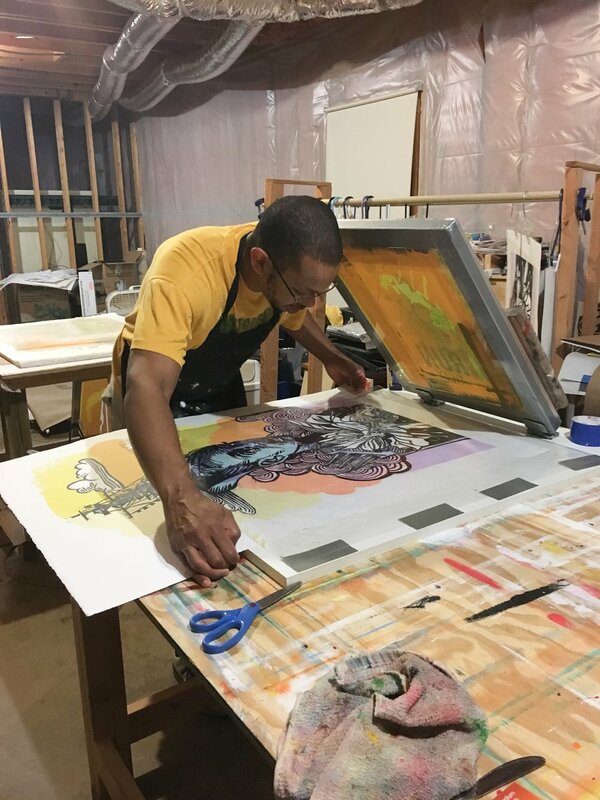 Much the same way Robert Blackburn set up his Printmaker Workshop to introduce printmaking to artists such as Robert Rauschenberg and Jasper Johns, this collaboration project is set up to bring all the artistic talent of Atlanta into printmaking. Working together, we create original fine art prints and we push ourselves to new creative heights. Not simply a random, one off image but a beautiful original print that fit into the artist developing body of work. In the process the artist expand their knowledge of the medium and I start to encourage a new collective spirit through printmaking.